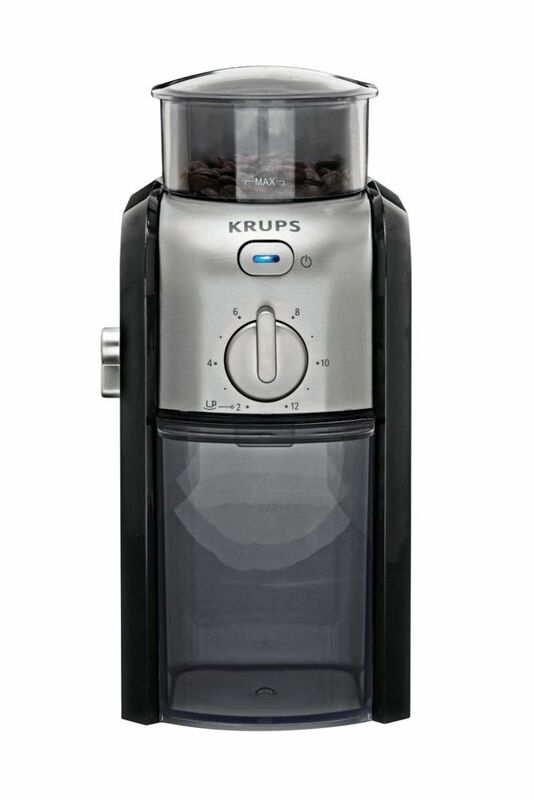 Expert Burr Grinder Large capacity bean hopper with safety lid and removable ground coffee container. Cup selector to set the amount of beans to be ground from 2 to 12 cups. 17 grind settings to obtain the perfect grind for all brew methods from espresso to filter coffee. Expert Burr Grinder is rated 3.8 out of 5 by 12. Rated 5 out of 5 by James from This coffee grinder works very well and meets expectations. I’m... This coffee grinder works very well and meets expectations. I’m very happy with it and I do recommend it.. Rated 4 out of 5 by Decaf4me from We use the grinder everyday to make 2 cups of coffee. Unit lasted two years then blew the motor ... We use the grinder everyday to make 2 cups of coffee. Unit lasted two years then blew the motor thermal protection fuse. I bought replacement NEC SEFUSE Cutoff SF119E Thermal Fuse 121 °C 10A 250V but never installed it. I just soldered the wires together. Then about about 5-6 years from purchase the grind started to get very coarse. The upper metal grinding ring is replaceable but the bottom one is not. The upper is not very expensive but I didn't think replacing only the uppers would solve the problem. It is a little messy so it sat in a tupperware container. The safety switches for the lid and receptacle can require a little encouragement. It is a cheap grinder and I really do wish the bottom metal grinding ring was replaceable. If the bottom teeth were replaceable it would be an amazing coffee grinder. Rated 3 out of 5 by Jean from Does an okay job. Not as good as my old... Does an okay job. Not as good as my old one. Have to hold the lid down and/or shake/move the catch container to operate the safety switches. Grind coarseness seems to not have much variation. Number of cups setting doesn't give consistent amounts of coffee. Rated 5 out of 5 by Stuart from This is the 2nd one I have owned..the last one... This is the 2nd one I have owned..the last one lasted 15yrs.Great grinder. Rated 2 out of 5 by Nicole from I was expecting there to actually be a difference between... I was expecting there to actually be a difference between a fine grind and course. 1-10 is pretty much the same grind, with very minute differences. It's disappointing when you're using it for a Keurig.